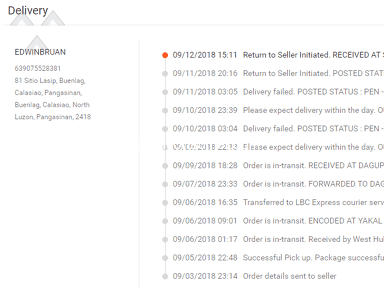 I supposed to received my parcel today, until i received this message from LBC tracking web site. Below are the notification that i received from LBS tracking record. 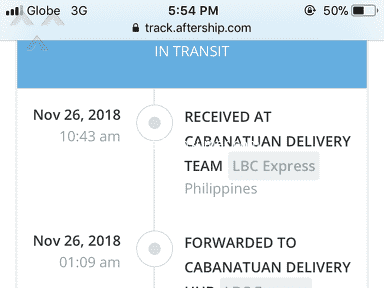 Related: LBC Express - DISAPPOINTING! ANNOYING! I have my contact no. on receipt that you have, my place has road names and easy to find. 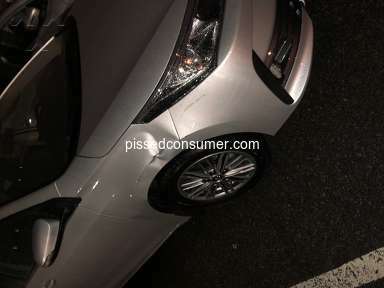 I'am surprised that i did not received any call from your deliver guy to inform me for any difficulties finding my place. please advise for any progress. 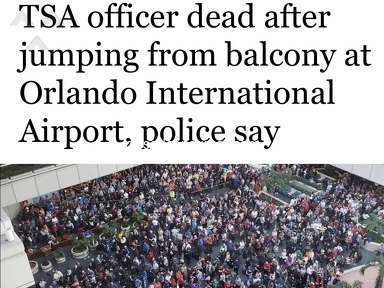 January 12, 2019We tried to deliver your shipment but recipient is unknown at the given address. Please get in touch with us through our official customer care channels. January 12, 2019Ready for delivery. Please expect delivery within the day. January 12, 2019Arrived at BATANGAS DELIVERY TEAM. 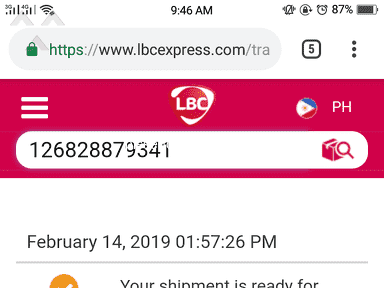 January 12, 2019Forwarded to BATANGAS DELIVERY TEAM. January 11, 2019Arrived at VCARGO EXCHANGE. 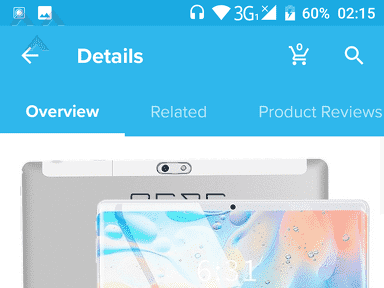 January 11, 2019Forwarded to VCARGO EXCHANGE. 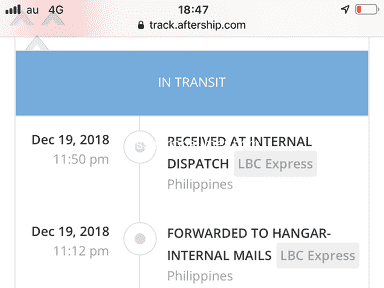 January 11, 2019Arrived at SCS COURIER FACILITY - MANILA. I liked: Affordable prices agent is very nice and respectful. 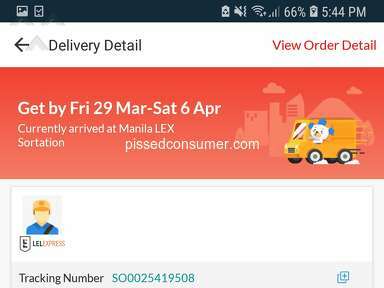 I didn't like: Very disgusting experience super delayed delivery. Review #1446829 is a subjective opinion of OrganicDiscus592.